Ready to throw the best party ever? 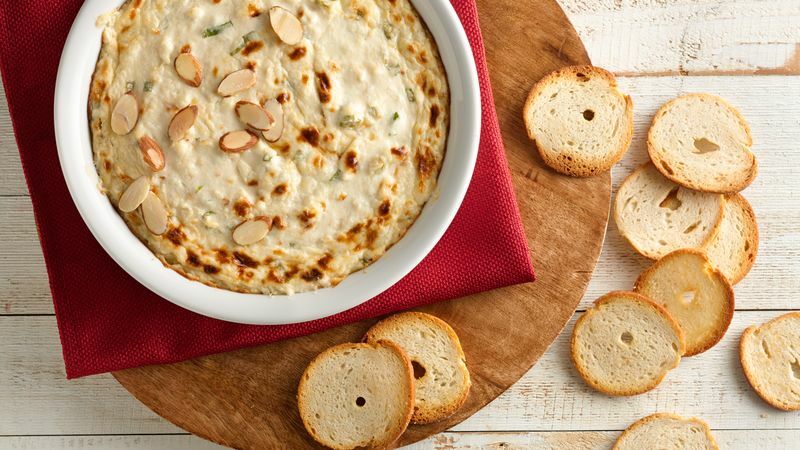 You’re off to a good start with these appetizers that take the stress out of hosting. Here are a couple different types of appetizers to add to your next party spread. Canapés are small pieces of toast or bread, crackers or baked pastry that are topped with some type of spread, various cheeses or anchovies. They can be served hot or cold. Often, the spread can be made ahead and sometimes the toast can be too, as in the recipe for Hot Crab Crostini. Charcuterie is a French word meaning “cooker of meat” and refers to an appetizer platter, which may include sliced meats (usually cured), pâté and rillettes – a paste of meat, poultry or fish cooked in seasoned fat – pickled vegetables, mustard, breads or crostini. A charcuterie board is a perfect complement to a make-ahead appetizer spread, because all the meats, pickles and bread can be purchased, so all you have to do is arrange your meats prettily on a platter at the last minute! Crudité is simply a French word for raw vegetables cut into slices, sticks or pieces then served with a dip or flavored oil. With a make-ahead dip, crudité are party perfect – and a great option when your crowd includes vegan or gluten-free guests. Dips and spreads might appear to be similar condiments, but they’re actually quite different. Dip’s texture is usually not too thin nor too thick. It’s the perfect consistency for dipping — i.e the name— and is best served with chips, vegetables or fruit. A spread, thicker in texture, is best served with a knife and spread across a selection of sturdy breads and crackers. Now that you know everything about apps, take the rest of your party up a notch by learn how to host without really trying (or at least without trying too hard!) And explore even more appetizer recipes, because you know Betty’s got more where these came from!